You can create custom roles to fit your specific needs, and to reflect the different people working on your account. You can create custom roles to fit your specific needs, and to reflect the different people working on your account. 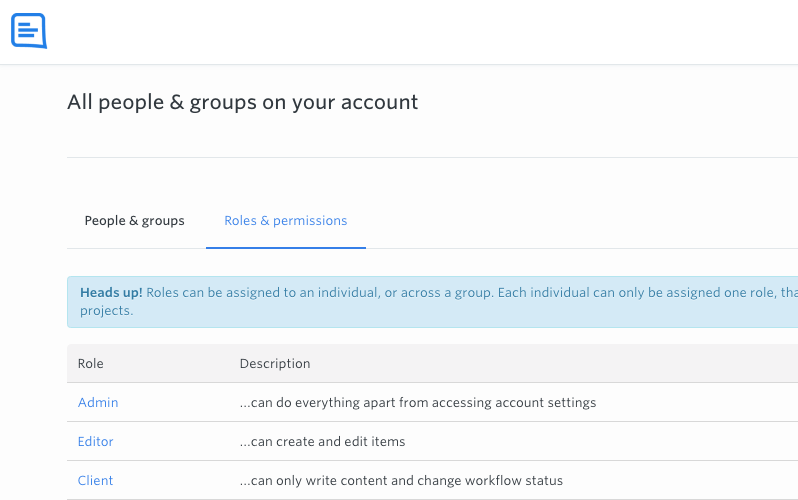 By default there are three roles in your account, but you can customise the permission sets for each of these, remove them entirely, as well as create infinite new roles. 1. Go to 'People and Groups' by clicking your avatar at the top right of GatherContent. 2. Open the 'Roles and Permissions' tab. 3. Choose to ‘Create another role’ at the bottom of the list of roles. 4. 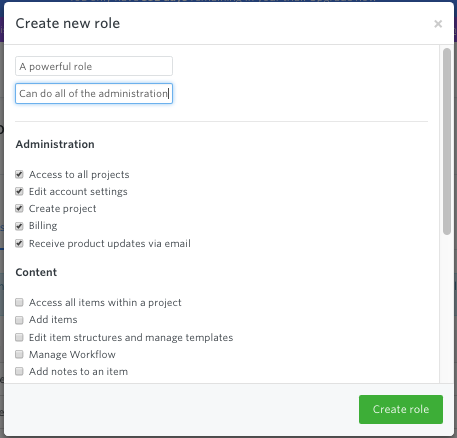 Specify what permissions your new role will have. There are various permissions, covering most of the functionality in your account. After creating your role, you can instantly go and apply it to people in your account.